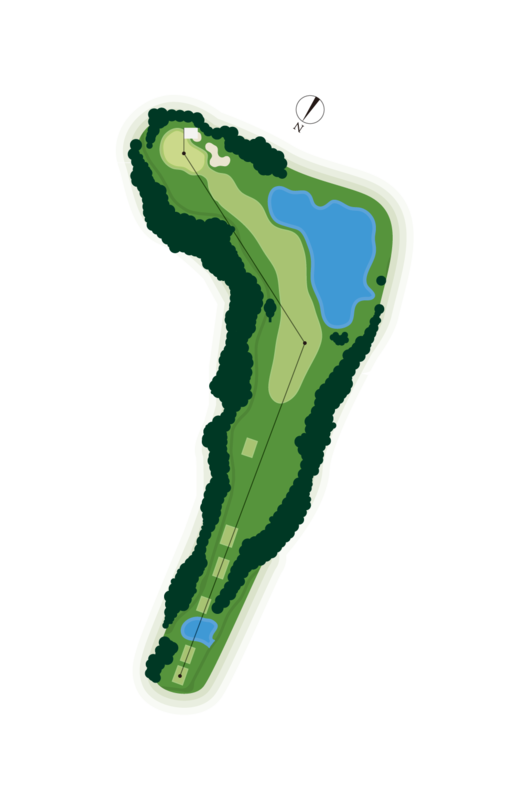 A highly-challenging par-4, and the course's only left dogleg hole. 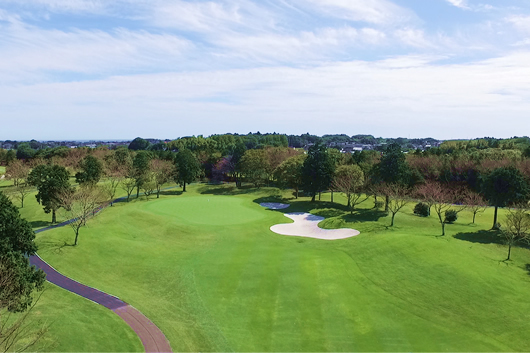 The pond on the right side will put you under pressure, but you should aim your tee shot at right edge of the Japanese zelkova trees on the left side. 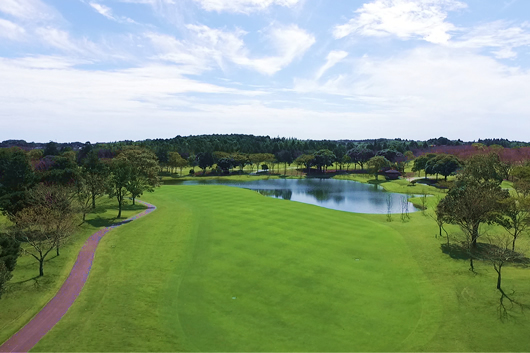 The areas where you can land your ball are limited, and while you will be tempted to take a short cut by aiming at the left side, it is actually better to attack from the right.